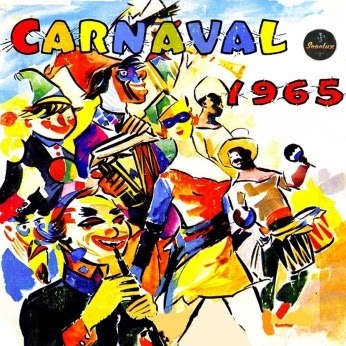 A few days ago I received from our friend from Spain Ramon Noriega Puente a carnaval LP from the Carnaval ’65, but this one is taking place in the city of Barranquilla in Colombia. Well, here is the opportunity to compare the two biggest carnivals in the world (by the way, more Brazilian carnaval music is in the package which is transferred to my PC as I write). CARNAVAL OR CARNAVAL: The link to the complete album was removed as Depositfiles deleted it from server. Uploading individual tracks was the only way to identify the song and performer protected by the DMCA Sturmtruppeninterneteinsatzdivision. It is Cristobal Pérez y Su Conjunto (track B!) The only possibility to download the other tracks is one by one. To do it, click on the titles in red.